Do you still have a gift card hanging around from Christmas? or perhaps your birthday? Did you know that department store gift cards are one of the most profitable businesses to be in for the department stores simply because many people forget they have them and either lose them or they become out of date. The money your family and friends paid to acquire them goes to the store and you got nothing for them in this case. In some cases if they are not used in a specific amount of time they are considered dormant and then canceled. Millions of people every year lose money this way. 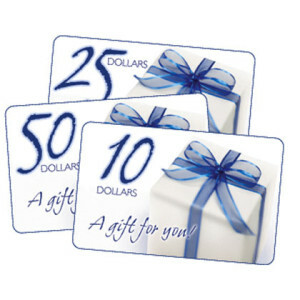 Gift cards are just like cash and can be used by anyone who holds them. They are not registered and if someone else spends the money on them, well too bad for you. Don’t lose them, forget about them or let them fall out of your pocket. The difference between cash and gift cards is that they have a shelf life. In other words they will get out of date at some point and they tie you to one store which can be a problem under specific conditions. Store Goes Bankrupt! What happens to my Gift Card? Another thing that happens with gift cards and a strong reason why you should use your gift cards as soon as you can, especially after Christmas is that many business go out of business in the winter months and suddenly that gift card you have is worth less. Some small companies who are struggling and many that are not really depend on the Christmas season to make or break them. They will do 90% of their entire years sales in 2 months time. If for some reason sales are not what they expected or they end up with too much inventory left over after Christmas, they can find themselves in financial difficulty. If your family purchased a gift card from one of these companies and they in turn declare bankruptcy because their sales are way down, you might find that your gift card is worthless. If you must purchase gift cards as a Christmas or birthday gift always try to purchase one from a well-known store that is part of a large healthy chain of stores. This is probably the best way to avoid this kind of situation. Next you just have to make sure your friend uses the card. Sometimes they get lost in all of the wrapping paper. Sometimes they are set aside in a safe place, never to be found again for many years. Sometimes they just sit in the drawer or even in your wallet and you forget they are even there. These are just a few of the reasons many people do not ever use their gift cards. As a result the great idea that someone had to give you gift card is completely wasted and the store made 100% profit. The best advice we can give from our web site for gift cards that you receive is to make a conscious effort to use them as soon as possible after you receive them to make sure they do not get lost. After all this web site is about saving money so the only way to do that with a gift card is to spend it. It is just like cash except that you can only use it one store or chain of stores. The next best thing is to purchase something on sale with a gift card. So now you can really stretch it as far as possible and get a few things that you might not have otherwise. Let us know by leaving a comment if you have run into these problems or have lost your gift card. What can you do to avoid losing a gift card.